(PMID:2228074) Indian J Med Res. 1990 Aug;92:276-83. (PMID:21144003) J Ethnobiol Ethnomed. 2010 Dec 13;6:35. (PMID:21093571) J Ethnopharmacol. 2011 Jan 27;133(2):881-7. (PMID:18053665) J Ethnopharmacol. 2008 Feb 12;115(3):432-40. (101) Int J Pharmacol. 2010; 6(4):494-9. (PMID:16406417) J Ethnopharmacol. 2006 May 24;105(3):464-7. (PMID:21365364) J Nat Med. 2011 Jul;65(3-4):440-7. (PMID:19041297) Chem Biol Interact. 2009 May 15;179(2-3):247-55. (PMID:20096675) Chem Biol Interact. 2010 Mar 30;184(3):458-65. 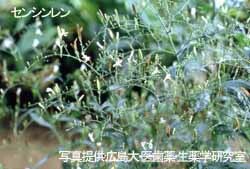 (PMID:27695271) Pharmacognosy Res. 2016 Oct-Dec;8(4):292-297. (PMID:28539725) Pharmacogn Mag. 2017 Apr-Jun;13(50):300-308. (PMID:27030208) J Sci Food Agric. 2017 Jan;97(1):333-340.